It's pumpkin season, and you know what that means? Pumpkin treats for everyone! Yaaay! After two weeks of slight misery, I am starting to feel much better. Which means I am well enough to cook and bake again. My husband is happy, I am happy and you will be happy once you give this recipe a try! My upper respiratory infection has cleared up and my back is feeling better. Thankfully, I was able to get in to see my chiropractor after work, yesterday. I am starting to feel like my old self again! Just in time for my run day, too. I plan on doing some light intervals this evening after work. I started the 8:00 a.m. - 4:00 p.m. schedule at work yesterday. I really enjoy my new shift! I was able to go to my chiropractor appointment, go grocery shopping (for pumpkin spice muffin ingredients) and make it home before I would usually get out of work at 5:00 p.m. It was nice to be home early. I celebrated the extra time in my evening by making pumpkin spice muffins after dinner. Dinner: Chicken with bbq sauce, corn and green beans. 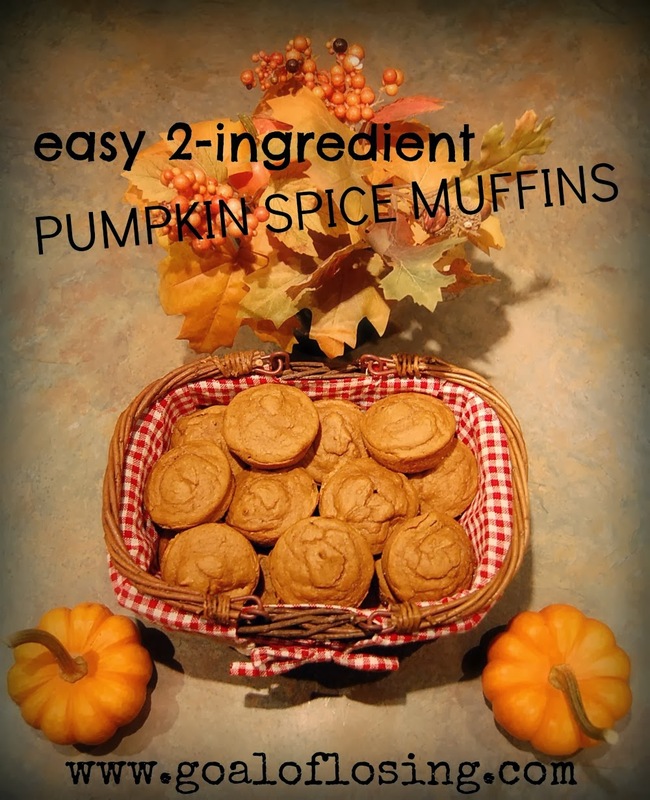 This is my absolute favorite muffin recipe! 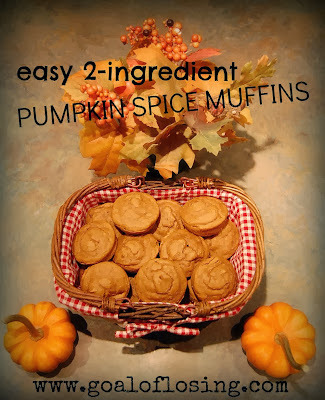 It tastes much more complicated than throwing a can of pumpkin, a box mix of spice cake and 1 cup of water into a bowl. But guess what! That's all you do. Oh, I lied. You have to mix the ingredients all together after adding them to the bowl. Yes, definitely do that part. 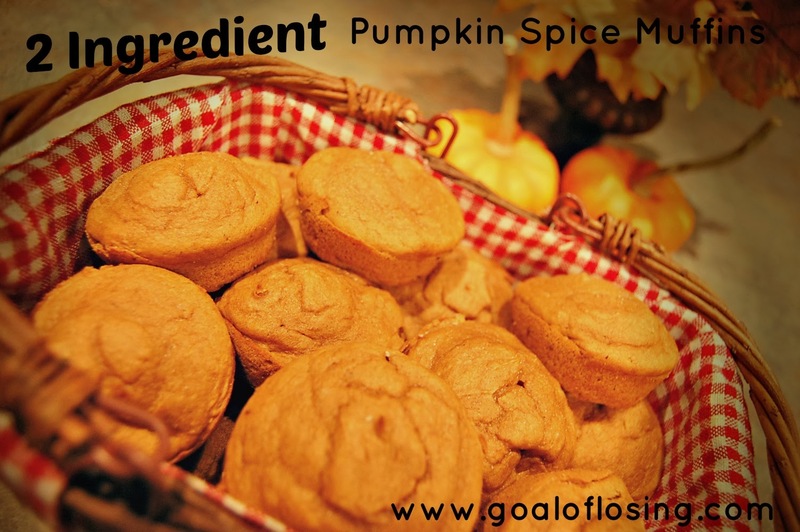 Once you fill up your muffin pans, bake those blobs of fluffy pumpkin spice goodness at 350 degrees for 20-25 minutes. Try to let the muffins cool before digging in. I know, I know... easier said than done!